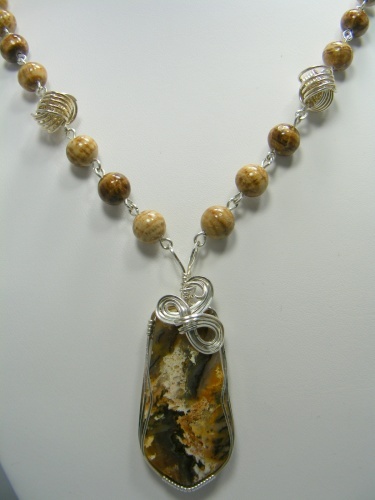 This beautiful necklace has picture jasper faceted beads complimented with a love knot on each side and a focal of graveyard plum agate thats been sculpted in sterling silver. This high fashion piece is so elegant and one of a kind. Measures 20" long.